In a large mixing bowl, combine whole wheat flour, oat flour, baking powder, baking soda and salt. In a small bowl, mix the egg, coconut oil, vanilla extract, greek yogurt and turbinado sugar until creamy (I recommend using a hand mixer to obtain the best results). Add mashed bananas into wet mixture and stir until well mixed. Mix wet ingredients into dry ingredients until moist. Add ¾ of walnuts to mixture and stir until well mixed. Sprinkle remaining walnuts on top of each muffin. Cool for 5-10 minutes and enjoy! There is nothing worse than setting your mind to bake something only to find out you are missing some of the ingredients. I probably shouldn't admit this, but it happens far more than I should admit. This time it was honey. I've been baking so many muffins lately that I didn't have enough to make the banana nut muffins the kids had requested. Luckily I had some turbinado (pure cane) sugar on hand. But why stop there? I decided that since I was going to have to change the recipe I might as well change a few things. I decided to use vanilla extract instead of almond, coconut oil instead of canola and to add in an extra banana to help with the sweetness. The results? 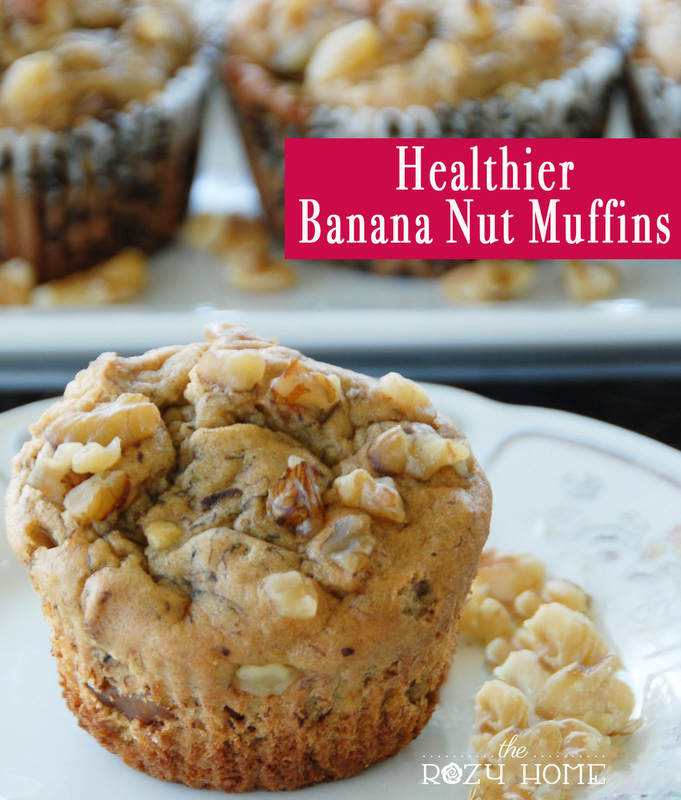 These are, to date, the absolute best banana nut muffins that I have made. Not only where the delicious but they were incredibly moist. In fact, when I asked the hubs how he liked them all he could do was give me the thumbs up because he was too busy chewing. Funny how not being prepared can turn into a good thing.